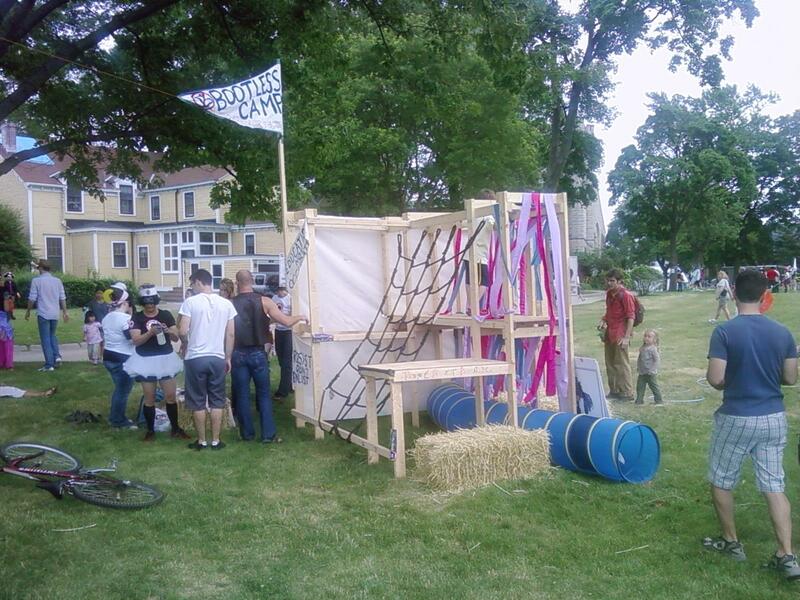 The Bootless Camp Counter-Recruiting Station at Figment 2010 on Governor's Island was an installation/activity for adults and kids. 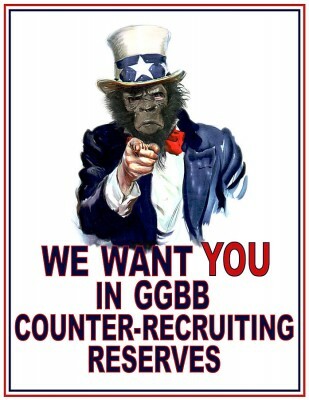 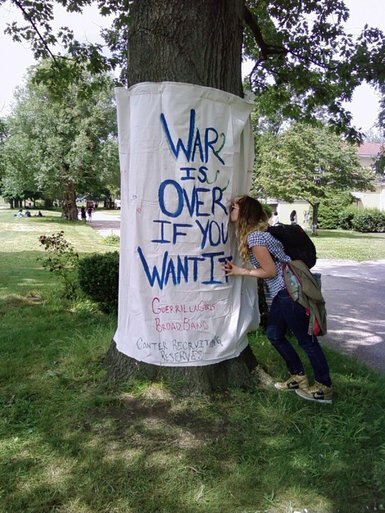 Guerrilla Girl Fairy Drill-Mothers directed recruits to complete an obstacle course and pledge to keep recruiters out of their schools and campuses - they imprinted lipstick kisses on the "War is Over If You Want It" banner and were rewarded with GGBB 'Provoke! 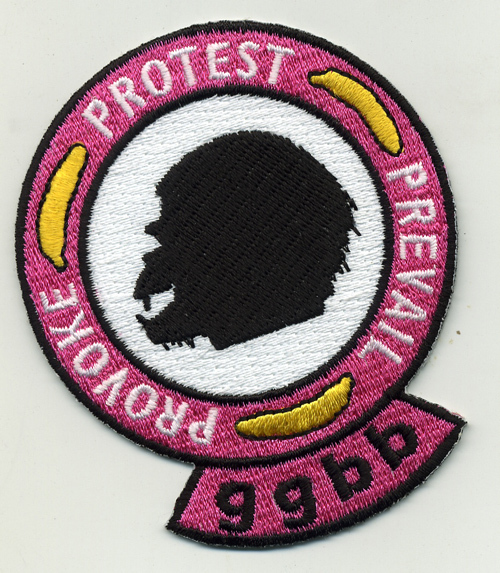 Protest! 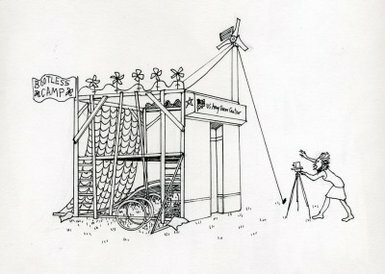 Prevail! 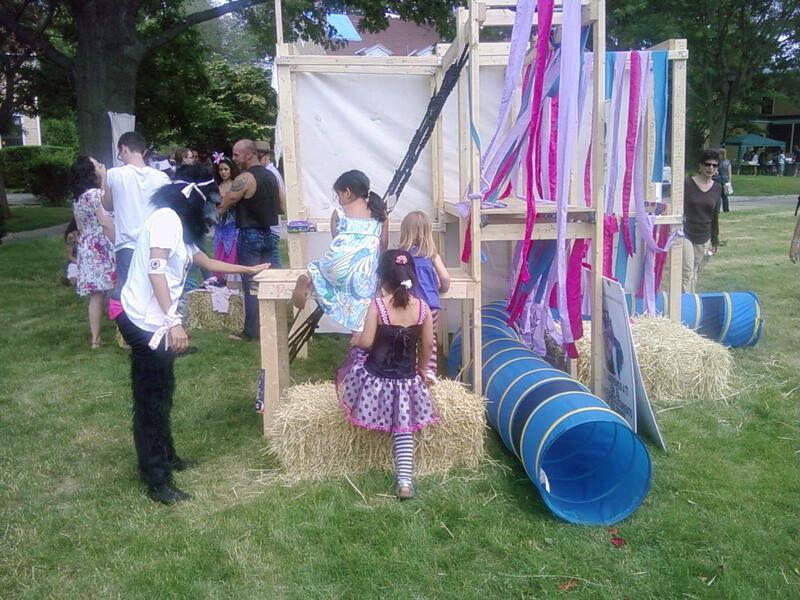 tattoos and armbands. 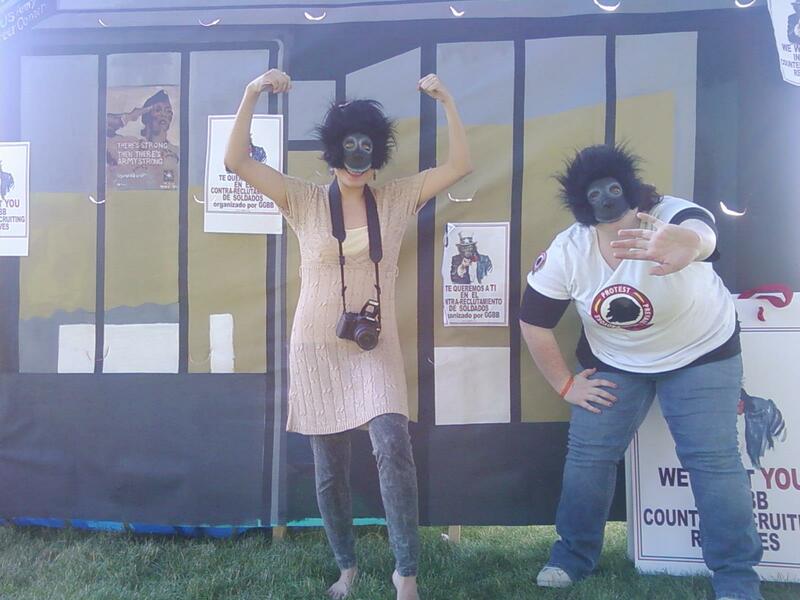 Participants also got their photo taken in a gorilla mask blocking the door of the mock armed forces recruiting center.